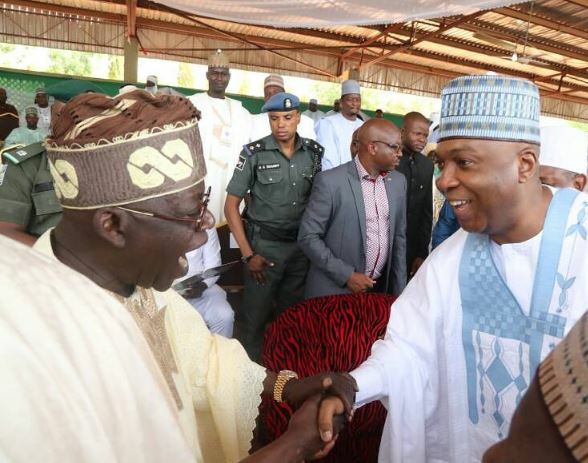 The Senate president, Bukola Saraki, has revealed the role in stopping the APC national leader, Asiwaju Bola Tinubu, from realising his ambitions of becoming the vice-presidential candidate of the APC in 2015. Saraki said the role he played by opposing the Muslim-Muslim ticket idea in 2015 eventually stopping Tinubu’s ambition which is the reason the APC national leader continues to bear grudges against him. The Senate leader made the claim in a statement issued on Monday, February 11, through his media aide, Yusuph Olaniyonu, shortly after the APC rally in Kwara state.